If you're new on eBay and you'd like to try a little automation to get you started, Auctiva is your entry-level choice. 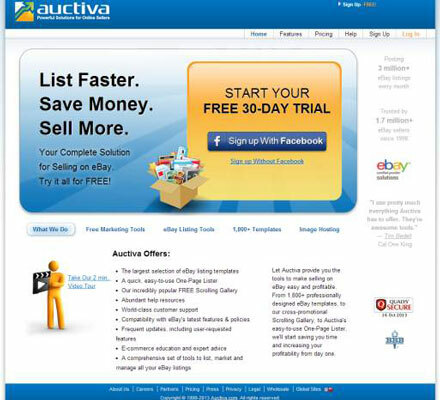 Auctiva offers online item-listing software and image hosting for eBay sellers. The easy-to-use site guides you through the process: creating auction listings, posting them on eBay, communicating with buyers, collecting payments, organizing shipments, keeping records of sales, marketing your listings, and much more. If you don’t want to sign up for all their services, you can still get a free marketing tool for your listings. Auctiva Scrolling Gallery is a graphic scrolling gallery of all your listings that you can insert in the text area of your description. It’s a very effective cross-promotion tool. Their tools start for as little as $2.95 a month, which includes 500MB for hosting your eBay images. For these features and more, visit the Auctiva website. 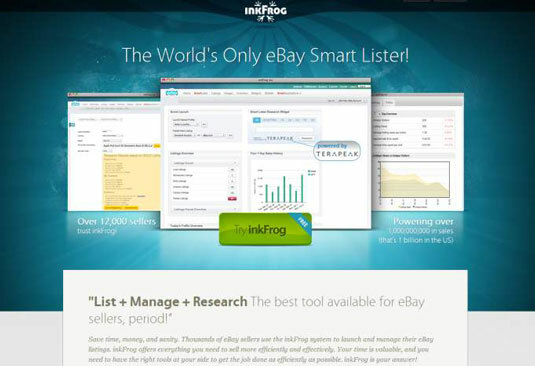 inkFrog is a web-based service helping eBay sellers since 1999. In 2006, inkFrog bought out another respected service, SpareDollar. In its present form, inkFrog represents a super bargain in a web-based management service. You can manage every aspect of your eBay sales, including image hosting, ad design, automated e-mail management, and report tracking. If you want to get fancy, you can design your item listing from any of its templates. For more information, and even more features, visit the inkFrog website. 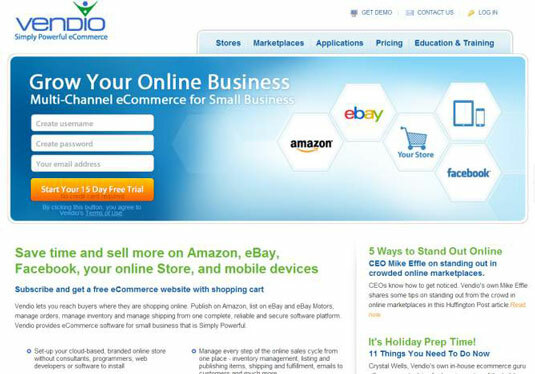 Vendio was one of eBay's first providers in 1999 and has been serving over a million sellers since. These sellers have sold over $15 billion in merchandise to nearly 300 million buyers. Vendio is a major provider of services that help e-commerce merchants on eBay, Amazon, and many other sites reach consumers, manage transactions, and profitably grow their businesses. You can buy some or all of Vendio services (kind of like ordering in a Chinese restaurant). The main Vendio service is a robust listing, inventory, and business-management platform. With its site you can manage each step of the online sales cycle: inventory management, marketing, fulfillment, customer communications, and more. 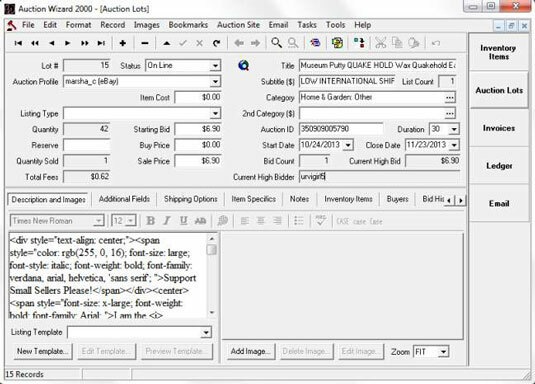 If you prefer to handle all your auction management, posting, and design on your own computer, try Auction Wizard 2000. Auction Wizard 2000 is a full-service professional management software package developed by eBay sellers. The software is fairly simple and amazingly powerful. It expedites all the seller functions for running and completing eBay sales. If you choose to become a consignment seller — that is, sell items for other people — Auction Wizard 2000 has a separate tracking area where you can keep track of your consignment sales by consignee. It even computes the fees that you’re charging for your services. Auction Wizard (also known as AW2K) charges $50 per user per year. Download a fully functional 60-day test drive — with no inactive features and no restrictions.